Canada’s newest prime minister, Justin Trudeau, made it a point to announce to the world’s media in Paris that under his rein Canada would be taking climate change seriously after years under a previous government that did not. The collapse of oil prices has left Canada’s economy particularly affected due to its over-dependence on the fossil fuel industry, yet there is still a push to get land locked Alberta’s bitumen to ports. Access to offshore shipping means access to more customers and an increase in production, which flies in the face of Trudeau’s promises. 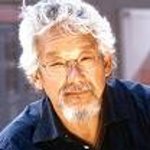 Suzuki sees the answer in a clean-energy economy which he says would create more jobs, unity and prosperity.